Part# A050000340. · EB600RT S/N: P45214001001 - P45214999999-->RECOIL STARTER. · EB600RT S/N: P45713001001 - P45713999999-->RECOIL STARTER. 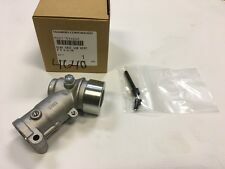 Genuine Echo / Shindaiwa STARTER ASSY. · PB-580H S/N: P44012001001 - P44012999999-->Recoil Starter. Once you place your order it can not be modified, changed, or canceled. Our inventory is constantly updating, we do our best to keep it as accurate as possible. Genuine Shindaiwa GEAR CASE ASSY, T242, SDK Part#P021034640. · T222-->Gearcase Assembly · T242X-->Gearcase · T242-->Gearcase · B3000-->Gearcase · C2510-->Gearcase · C242-->Gearcase Assembly. Replaces old part numbers 60114-98320, 63076-63110, 60114-98321 used on the following models. · C270-->Carburetor -- EPA & CARB Changes. · PB270-->Carburetor -- EPA & CARB Changes. · T270-->Carburetor -- EPA & CARB Changes. · C270-->Carburetor (EPA/CARB). Part# A101000140. 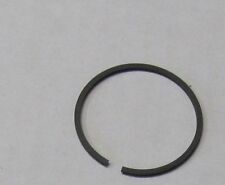 Part A101000140 (RING, PISTON). Genuine Echo / Shindaiwa RING, PISTON. · ES-250 S/N: P33612001001 - P33612999999-->Engine, Short Block - SB1104. · ES-250 S/N: P33711001001 - P33711999999-->Engine, Short Block - SB1104. 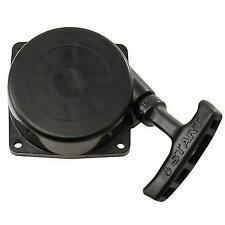 New OEM Shindaiwa Fuel Cap part #A033000070. Edger - Lawn Edger. Multi-Tool - Multipurpose Tool Carrier. Leaf Blower / Vacuum - Blower. Brush Cutter - Brushcutter. Power Broom - Power Broom. Pole Saw - Pole Pruner. Genuine Shindaiwa FUEL TANK ASSY. 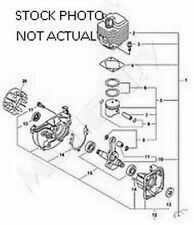 Part# A038000430Genuine OEM Shindaiwa Part. Replaces: 20016-85001, 20016-85003 and 20016-85002. Air Filter replaces Shindaiwa A226000510. Fits EB630 & EB630RT Blower. Fits Models. Part# A226001090 (AIR FILTER ASSY, FLOCKED). Genuine Echo Air Filter. · 491s S/N: C36312001001 - C36312999999-->INTAKE, AIR FILTER, ENGINE COVER. · 491s S/N: C36413001001 - C36413999999-->INTAKE, AIR FILTER, ENGINE COVER. Part# A050000340. · EB600RT S/N: P45214001001 - P45214999999-->RECOIL STARTER. · EB600RT S/N: P45713001001 - P45713999999-->RECOIL STARTER. Part's, Sale's and Service with service after the sale since 1938. OEM Echo Shindaiwa One Gal Bottles 2 Cycle Engine Oil Mix Part# 6450050. You are buying One Gallon Bottle of Echo 50 Gallon Mix of 2-Cycle Oil 6450050. Echo 50 Gallon Mix of 2-Cycle Oil in 1 Gallon Bottles 6450050. Part# P003000060. 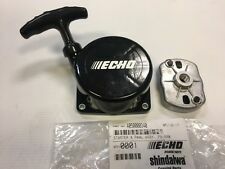 Genuine Echo / Shindaiwa KIT, CARB, WYK-345/347/410. · PB-770H S/N: P44914001001 - P44914999999-->Carburetor. · PB-770T S/N: P03012001001 - P03012999999-->Carburetor. · PB-770T S/N: P05311001001 - P05311999999-->Carburetor. 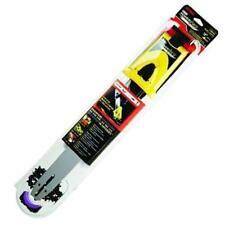 LE261 Lawn Edger. Replaces old filter # 60028-98040 as well as the foam filters that fit with the Net A230000010. Part# P021015730 or P021015732 or P021015731. Genuine Echo Shindaiwa FAN CASE ASSY. (COVER ASSY, FAN). · GT-225SF S/N: S96013001001 - S96013999999-->Fan Case. · GT-225SF S/N: T75614001001 - T75614999999-->Fan Case. Part # C061000280. EB8510 Blower. EB630RT (5060001) Blower. EB630 (5060001) Blower. Part# P005002050. Part P005002050 (ROTOR COVER ASSY). Genuine Echo / Shindaiwa COVER ASY., ROTOR. 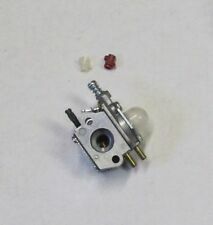 · HC-185 S/N: S76812001001 - S76812999999-->Carburetor S/N: S76612011075-S76612999999. WE ARE A CERTIFIED DEALER! Part# 99944400395. Part 99944400395 (CLUTCH KIT). Genuine Echo / Shindaiwa KIT, CLUTCH. · CS-310 S/N: C04612001001 - C04612999999-->Clutch. · CS-310 S/N: C04713001001 - C04713999999-->Clutch. · CS-310 S/N: C23926001001 - C23926999999-->Clutch. Part# A350000220. 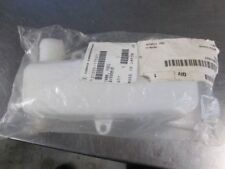 Part A350000220 (FUEL TANK ASSY). Genuine Echo / Shindaiwa FUEL TANK. · GT-200EZR S/N: 05001001 - 05999999-->Fuel System. · GT-200EZR S/N: 07001001- 07999999-->Fuel System. · GT-200i S/N: 05001001 - 05999999-->Fuel System. Part P021042071 (COVER KIT, AIR FILTER). Our inventory is constantly updating, we do our best to keep it as accurate as possible. Once you place your order it can not be modified, changed, or canceled. Part# A411000420. 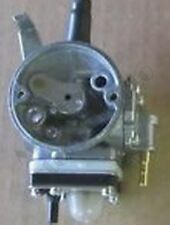 Part A411000420 (COIL, IGNITION). Genuine Echo / Shindaiwa IGNITION COIL (ID #C11103). · PB-500H S/N: P01913001001 - P01913999999-->Ignition. · PB-500H S/N: P02112001001 - P02112999999-->Ignition. Part# P022019690. Part P022019690 (REEL, ROPE). Genuine Echo / Shindaiwa ROPE REEL. · PB-250 S/N: P05412001001 - P05412999999-->Starter. We will do everything we can to get you the part that you need! Part# P021028340. Part P021028340 (DEBRIS SHIELD ASSY). · T282 S/N: T09612001001 - T09612999999-->DEBRIS SHIELD. · T282 S/N: T09711001001 - T09711999999-->DEBRIS SHIELD. · T282 S/N: T09813001001 - T09813999999-->DEBRIS SHIELD. Part# 13030330831. Genuine Echo / Shindaiwa AIR FILTER ASY. · CS-8002 S/N: 36001001 - 36001405-->Air Cleaner, Carburetor, Muffler. · CS-8002 S/N: 36001406 - 36999999-->Air Cleaner, Carburettor, Muffler. Part # 14586240630. Genuine Echo Muffler Screen. MUFFLER SCREEN. Part# A226000051. Part A226000051 (FILTER, AIR). Genuine Echo / Shindaiwa FILTER, AIR. · CS-271T S/N: C21313001001 - C21313999999-->Intake. · CS-271T S/N: C21211001001 - C21211999999-->Intake. WE ARE A CERTIFIED DEALER! Patented wear ring reduces tube wear. Fan intake circulates air and cools user's back. Top-mounted tool-less filter access for easy in-field cleaning or maintenance. Large see-through fuel tank. Fuel Capacity (fl. ). Genuine Echo / Shindaiwa CLUTCH ASSY. part #A056000260. This part replaces obsolete part #: 90083, 90081, 61050122460, 61050111560, 43700022360, 1250, 90081, 14000148, 120691, 61040022360, 90083, 43700022360 and 43700022360. part number 90093. One NEW One new OEM genuine Echo gearcase assembly. Genuine Echo Shindaiwa Service Tool. Genuine Echo IGNITION AIR GAP GAUGE. Air Gap Gauge - used to set ignition coil air gap to. 014". 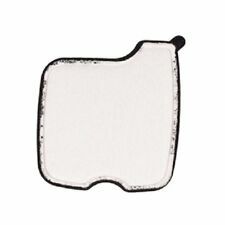 Part A226001090 (AIR FILTER ASSY, FLOCKED). · CS-490 S/N: C34312001001 - C34312999999-->Intake, Air Filter, Engine Cover. · CS-490 S/N: C34413001001 - C34413999999-->Intake, Air Filter, Engine Cover. · CS-500P S/N: C19312001001 - C19312999999-->Intake, Air Filter, Engine Cover. · 488P S/N: C54820001001 - C54820999999-->Cover / Handle. Genuine Shindaiwa fuel pipe. · 488 S/N: C57220001001 - C57220999999-->Cover / Handle. · 488-->Front Handle / Rear Handle. Where Used. Up for sale is one Shindaiwa C044000650 Throttle Lever Assembly Genuine. Item(s) have just been sitting on the warehouse shelves and need to go to good use! PART # 43600113934. 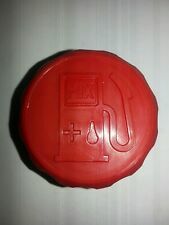 One NEW genuine OEM Echo oil tank plug cap. · CS-280E S/N 0106531 - 0120268-->Unit Complete. Part# 13101002261. Part 13101002261 (TANK, FUEL). Genuine Echo / Shindaiwa TANK, FUEL. · PB-400E Type 2E S/N: 509501 - 999999-->Air Cleaner, Carburetor, Muffler, Fuel Tank. · PB-410 S/N: 03001001 - 03999999-->Fuel System. 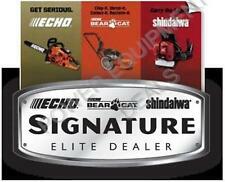 Echo ES-210 - Echo Shred 'N' Vac Shredder / Vacuum (SN: 05001001 - 05999999). Echo ES-210 - Echo Shred 'N' Vac Shredder / Vacuum (SN: 07001001 - 07999999). Echo ES-210 - Echo Shred 'N' Vac Shredder / Vacuum (SN: 08001001 - 08999999). 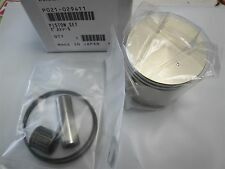 Shindaiwa S230 Crank Engine Piston With Clutch And Flywheel.... Top Shelf. Used, came off of a running unit, has great compression. With clutch and flywheel. Part 13100546831 (FUEL TANK ASSY). · ED-2000 Type 1-->Intake, Air Filter, Exhaust, Fuel System. · GT-2000EZR S/N: 03001001 - 03999999-->Intake, Exhaust, Fuel System. · GT-2000R TYPE 1E-->Intake, Exhaust, Fuel System. Trending at $53.49eBay determines this price through a machine learned model of the product's sale prices within the last 90 days. Echo# 12538108660 P005003120. STIHL MODELS Echo most C1M, C1Q and C1U Zama carburetors. ECHO MODELS. · EB600RT S/N: P45214001001 - P45214999999-->RECOIL STARTER. · EB600RT S/N: P45713001001 - P45713999999-->RECOIL STARTER. 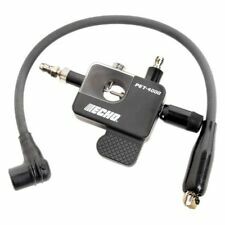 · PB-580H S/N: P44012001001 - P44012999999-->Recoil Starter. · PB-580H S/N: P44211001001 - P44211999999-->Recoil Starter. Shindaiwa A226000540. Shindaiwa: EB802, EB802RT, EB8520, EB8520RT, EB854 and EB854RT. Ethanol: Not compatible with greater than 10% ethanol fuel. Stens 605-600 Maintenance Kit. Part P021046740 (HANGER SET, HARNESS). · PAS-225 S/N: T39814001001 - T39814999999-->Main Pipe, Coupler. · PAS-225 S/N: T39914001001 - T39914999999-->Main Pipe, Coupler. · PAS-225 S/N: T44811001001 - T44811999999-->Main Pipe, Coupler. New SHINDAIWA CUTTER GUARD- PART NUMBER: 72480-16121 new in packaging! !